NPF in Nagaland on Friday demanded the Governor to invite it to form the government in the state in line with Karnataka. 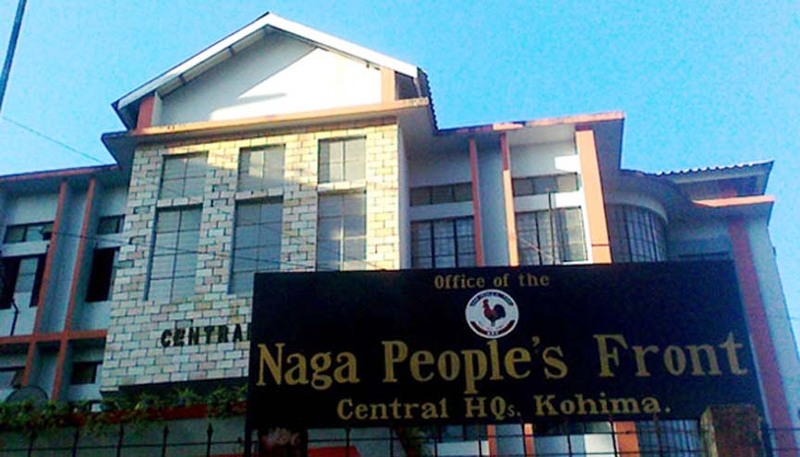 “If being the single largest party gives you the mandate to form the government, the NPF too emerged as the single largest party in Nagaland,” the party stated. Karnataka Governor Vajubhai Vala decision to invite BJP to form the government in the state for being the single largest party has given the Opposition Naga People’s Front (NPF) to claim to form the government in Nagaland. “Governor PB Acharya must invite Zeliang and his party to form the government in Nagaland at the earliest based on the merit of the case. The same yardstick must be applied in Nagaland as in the case of Karnataka,” information and publicity wing of the NPF said in a communiqué on Friday. In Karnataka, the BJP without having the magic figure was allowed to form the government in the name of ‘single largest party’ whereas in Nagaland, the NPF led by TR Zeliang was not allowed to do the same despite it being the single largest political party, the communiqué stated. It said the same yardstick should be applied in all the states as was done in Karnataka where the BJP has formed the government although it does not have the number on its side. The NPF said they are keeping a watch on Bihar and Goa where the single largest parties are now claiming to form the government. Leader of Opposition Zeliang said the NPF alone secured 26 seats in the February Assembly elections. The party emerged as the single largest party in the 60-member House. “Why was the NPF not accorded the same privilege and allowed to form the government and given 15 days time to prove majority on the floor of the House. Why different laws be applied in different states on a similar matter,” he asked. Zeliang also sought to know should the law of the country be distorted according to the convenience and advantage of a certain political party. He said the NPF legislators along with the organizational wing of the party will hold a consultative meeting to discuss the issue. The NPF forged pre-poll alliance with JD (U) and National People’s Party (NPP). The JD (U) emerged winner in one seat while NPP bagged two seats in last Assembly elections. However, both the parties joined the ruling People’s Democratic Alliance (PDA) led by Nationalist Democratic Progressive Party (NDPP) after the election results were out and joined the government. Besides NDPP, other partners of the PDA are BJP, JD (U), NPP and a lone Independent. The NDPP won 18 seats while BJP got 12 seats in the February elections in the state.